It was good fortune for John Carraway that he had exposure early in his college career to remarkable people. During his time at the University of Tennessee, his study under Bill Lacey, the Dean of Architecture, who went on to become the President of the American Academy in Rome, and his first year design professor, Eleanor Evans, set the foundational thinking that he has carried throughout his career. Inspired by his mentors, John has been driven to remove the unnecessary and to keep the palette pure. John also had the opportunity to study design and theory under Astra Zarina in Italy who was the first woman to win the Rome Prize in Architecture. It was in Italy that he first understood that architecture can create a sense of well being in people through the correct appropriation of light and space and that the best buildings are those that shape and improve one’s environment without forcing the site and context to comply. Each of these influences left a lasting impression that has pushed his design to go beyond style and trend and toward an understanding of lifestyle. 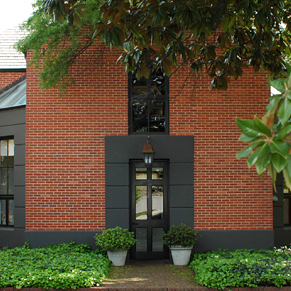 Currently, John works with his wife, Liz, an architect, and a graduate of Auburn University, and Kent Kirkland, also an architectural graduate of Auburn, who has worked with John for the past 25 years. Together, they apply a method of design that brings an education in pure design and history with an aptitude for listening to the client’s desires. In doing so, their work is able to separate itself from a particular aesthetic and become a project that is unique to the client.